The Trump administration's regulatory czar is warning government agencies they'll need to do more to justify why they plan to issue new rules in the future. "Agencies should not act like they have a blank check from Congress to make laws," Neomi Rao, the head of the Office of Information and Regulatory Affairs, said Friday speaking at the Brookings Institution. 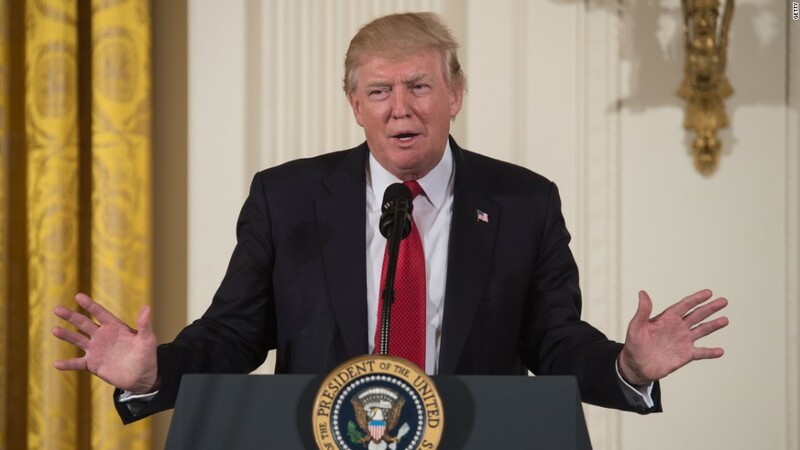 In a speech outlining the administration's deregulatory agenda for 2018, Rao described plans to "crack down on bad regulatory practices" by government agencies. For example, they should determine if they have the legal authority to issue a particular rule. OIRA is a branch of the White House's Office of Management and Budget that has the power to oversee how government agencies craft regulations. It also acts as a cop ensuring agencies are complying with regulatory-related executive orders signed by the president. "This administration is no longer pushing the envelope on regulation," said Rao echoing a recent op-ed by Mick Mulvaney, director of OBM and the interim chief of the Consumer Financial Protection Bureau. A hallmark of Trump's presidency since he took office one year ago has been to swiftly move to eliminate hundreds of regulations. He's often exerted presidential powers in unprecedented ways to unwind or delay rules. Watchdog groups have argued that has weakened oversight of behemoth Wall Street banks, stripped safety measures for workers and caused long-term harm to the environment. Last year, Trump froze all future regulations until all his cabinet appointees and heads of agencies were confirmed by the Senate. He proposed killing two regulations for every new one. He also requested each agency to name a regulatory officer to identify rules to be eliminated. And exercised his authority -- in unprecedented fashion -- by repealing 14 Obama-era rules and wiping out or delaying 860 prospective rules federal agencies planned to work on this year. Rao said agencies will now have to prove regulation is necessary and that they have a legal basis to issue a new regulation. "There has to be a reason for the government to act," said Rao. "We want to make sure they [government agencies] are working to solve an actual problem." The administration's regulatory philosophy is already at work at the CFPB, which protects American consumers from predatory lenders and bullying debt collectors. In a memo sent to the bureau's staff on Tuesday, Mulvaney outlined his vision for the agency that enforces regulations and consumer protections with "humility and prudence." Mulvaney insisted he had no plans to close down the agency, because doing so would be against the law. "When I arrived at CFPB, I told folks that despite what they might have heard, I had no intention of shutting down the bureau," Mulvaney wrote. "Indeed, the law doesn't allow that, and as members of the executive branch we are charged with faithfully executing the laws." He said the agency will no longer "push the envelope" when it comes to its jurisdiction and scope. The consumer bureau has already begun a rethink of Obama-era rules. Last week, it said would reconsider rules to protect consumers from payday-lending traps. It also launched a formal review of how the agency investigates and enforces rules on big banks and predatory lenders.